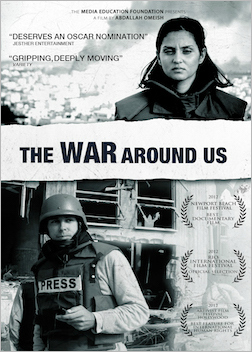 "While there are numerous documentaries about war, there are few like The War Around Us which powerfully and fearlessly describe experiences of journalists caught in the midst of a brutal military invasion. Omeish's film is an unbridled homage to journalism at its best." "While the world's eyes were on America's 2008 election and the thrilling rise of Barack Obama to president, Israel launched a devastating attack on Gaza, killing more Palestinian civilians than had died in one go since 1948. Two lone Al Jazeera journalists covered this tragedy while Western media were locked out. This is a film that will shock and appall viewers from around the world, at the same time as providing invaluable inspiration to journalists and student reporters everywhere. I recommend this both for its startling and controversial political content, which will upset many, and for its educational value." "Abdallah Omeish has at once crafted a penetrating examination of the role of journalists in war zones and an arresting reminder of the human costs of Israel's bloody 2008-2009 assault on the beleaguered Gaza Strip. This is documentary film-making at its finest and most courageous." "A fine example of war reporting. Should be required viewing for aspiring journalists and media scholars who are seeking another narrative on the seven-decade old conflict." "Gripping. Deeply moving. By far, the finest, most accomplished record of one of the most heinous massacres of the 21st century." "One of the hardest hitting documentaries I've seen in years, Abdallah Omeish's The War Around Us deserves not only distribution so audiences can see it, but also an Oscar nomination." 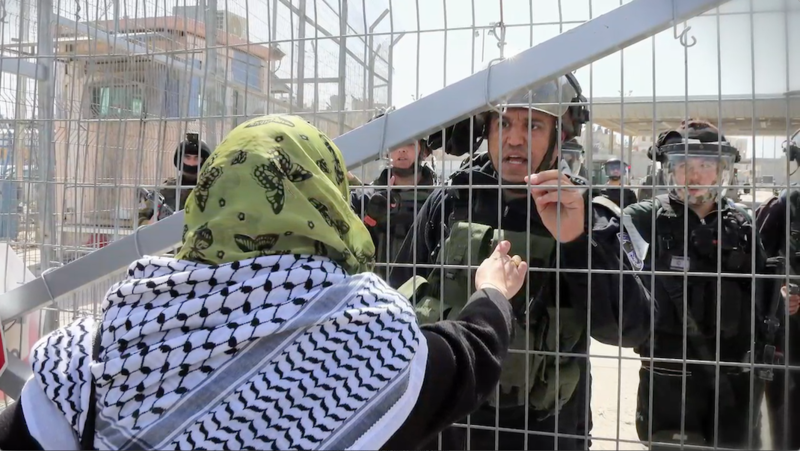 "This documentary is required viewing not only for those that wish to hear another perspective on the Arab-Israeli conflict. It is also a primer for what it means to be a journalist, someone who tells stories that would otherwise be forgotten by the world. And it provides a spark of hope that, despite all the machinations of the powerful and the cruel, truth will always out. The War Around Us reminds us of what journalism should be about -- a voice that risks everything in order to speak truth to power. And it gives new meaning to the words of Thomas Jefferson: 'Were it left to me to decide whether we should have a government without newspapers, or newspapers without a government, I should not hesitate a moment to prefer the latter.'" "Brings one of humanity's greatest injustices to the big screen."